I cancelled my spin yoga class this morning, because I couldn’t stand the idea of waking up to an alarm today. I just couldn’t do it. I’ve had company for weeks and appointments every weekend. My alarm has become the most annoyingly haunting sound these days. Interestingly, I woke up “naturally” at 8:30am this morning, and even though it was early, I was ok with it because I didn’t have to hear that beeping…. at least for ONE day! I love eating on the weekends. I have time to get creative, and I have time to enjoy my food! During the week when I get home, I eat what’s quick and what’s convenient as SOON AS I WALK IN THE DOOR. Today, I had a BRILLIANT idea! I was going to turn everyone’s favorite JC Turkey Burger into Sloppy Joes. How yummy would that have been? I diced up the veggies and went to the freezer to find about 20 JC Cinnamon Rolls and hoarder-worthy quantities of JC food, but absolutely NO TURKEY BURGER. 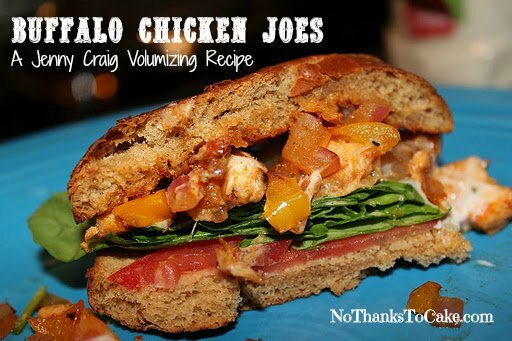 I couldn’t let all those veggies go to waste, so I decided to make something totally different that I named Buffalo Chicken Joes! 1. Saute onions and peppers in a saute pan, sprayed with Pam cooking spray. 2. At the same time, cook the chicken from your chicken sandwich in the tray provided in the microwave for the first 90 seconds. 3. Remove chicken from microwave tray and move to a cutting board. Dice chicken breast, and add to the pan. 4. 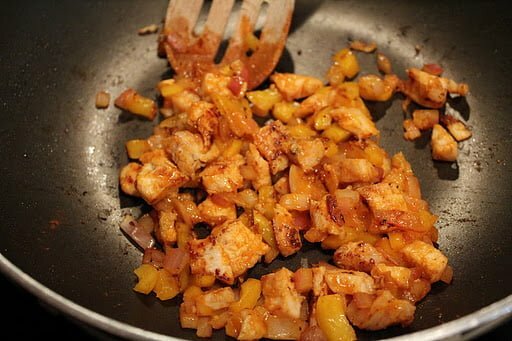 Saute chicken, onion, and pepper mixture for about 2 minutes. Add buffalo sauce and stir. Remove from heat. 5. 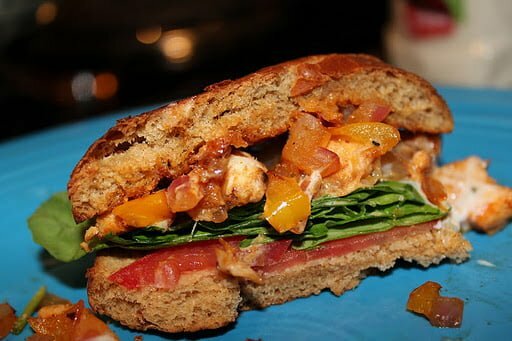 Thaw the chicken sandwich bun in the microwave in a paper towel for 30 seconds. 6. Toast bun in a toaster on a low setting. 7. 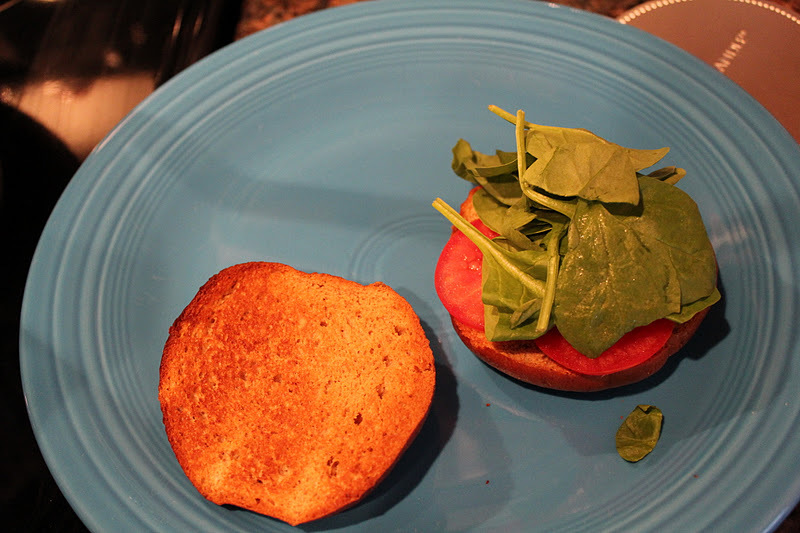 Place three slices of tomato and a layer of spinach on your toasted bun. 8. Add chicken on top of the bun and drizzle with a tiny bit of lite ranch. Note: The bun will only hold about 1/2 of the chicken/veggie mixture. Grab a napkin and enjoy this bad boy! 10. 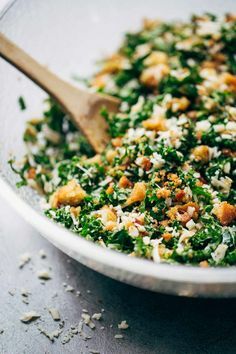 Don’t let the leftovers go to waste! 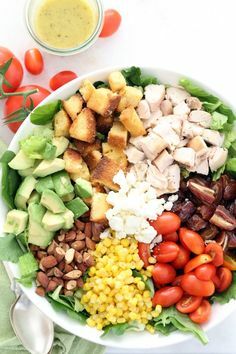 I chopped some extra tomatoes and spinach and made a salad with the leftover chicken/veggies. So delish! Stay tuned for Sloppy Joes… they will be coming soon! 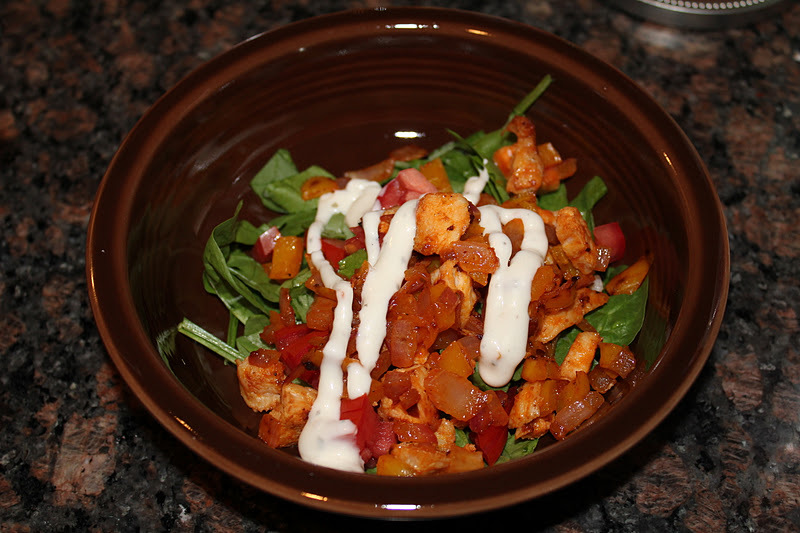 Until then, another delicious buffalo chicken dish.